In this way Lord Caitanya teaches the science of Kṛṣṇa consciousness. That science is absolute. Dry mental speculators try to restrain themselves from material attachment, but it is generally found that the mind is too strong to be controlled and that it drags them down to sensual activities. A person in Kṛṣṇa consciousness does not run this risk. One has to engage one’s mind and senses in Kṛṣṇa conscious activities, and Lord Caitanya teaches one how to do this in practice. 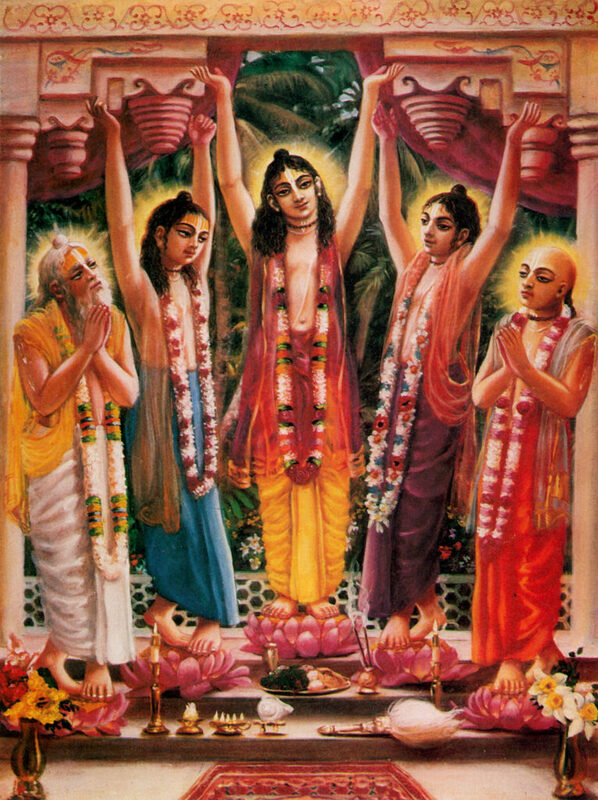 Before accepting sannyāsa (the renounced order), Lord Caitanya was known as Viśvambhara. The word viśvambhara refers to one who maintains the entire universe and who leads all living entities. This maintainer and leader appeared as Lord Sri Kṛṣṇa Caitanya to give humanity these sublime teachings. Lord Caitanya is the ideal teacher of life’s prime necessities. He is the most munificent bestower of love of Kṛṣṇa. He is the complete reservoir of all mercies and good fortune. As confirmed in Śrīmad-Bhāgavatam, the Bhagavad-gītā, the Mahābhārata, and the Upaniṣads, Kṛṣṇa is the Supreme Personality of Godhead Himself and is worshipable by everyone in this age of disagreement. Everyone can join in His saṅkīrtana movement. No previous qualification is necessary. Just by following His teachings, anyone can become a perfect human being. If a person is fortunate enough to be attracted by Lord Caitanya’s features, he is sure to be successful in his life’s mission. In other words, those who are interested in attaining spiritual existence can easily be released from the clutches of māyā by the grace of Lord Caitanya. The teachings presented in this book are non different from the Lord. 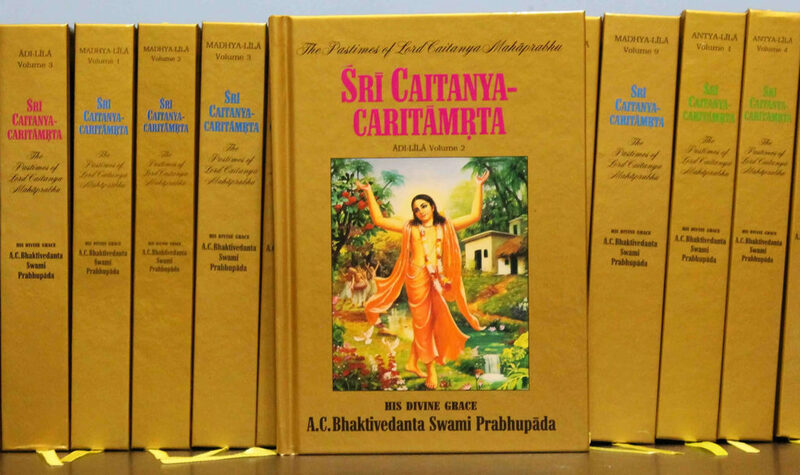 This entry was posted in A. C. Bhaktivedanta Swami Prabhupada, Books by Srila Prabhupada, Caitanya-caritamrta, Lord Caitanya and tagged A. C. Bhaktivedanta Swami Prabhupada, Bhagavad-gita, books by Srila Prabhupada, preface to Teachings of Lord Chaitanya, Sri Caitanya, Sri Caitanya Mahaprabhu, Sri Caitanya-caritamrta, teachings of lord chaitanya, teachings of lord krishna. Bookmark the permalink. ← What is Real Initiation ?